In a period of unprecedented innovation, John Keells Holdings the parent company of Nexus, realized the importance of building a strong rapport with customers. With this objective in mind Nexus Networks (Pvt) Ltd was launched in December 2000. All the benefits of loyalty are now linked to your very own mobile number, regardless of the mobile network. 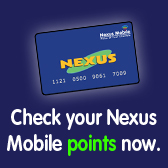 The previous Nexus card is now fully integrated with the member’s mobile number. This a user-friendly method of enjoying all Nexus benefits without the hassle of carrying a membership card around. Members can collect and redeem their points by just providing their mobile number. Earning of points is done by simply giving the cashier at the merchant your mobile number which has been registered with Nexus Mobile. Points will be accumulated against the member’s Nexus Mobile membership. Redeeming of points is as simple as informing the cashier that a point redemption needs to be made and the member then immediately receives a security code via SMS. The member then needs to give the cashier the security code and the redemption process is complete. 1 earned point is the equivalent of 1 Rupee. 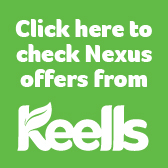 Members can check their points balance by either visiting the Nexus Mobile website, calling the Nexus Mobile call center or by visiting any Keells outlet. Nexus Mobile is the only Multi-Merchant loyalty Programme in the country which focusses on key lifestyle touch points of the typical Sri Lankan customer. Merchants are selected based on a filtration process so that members are only showered with a range of offers and choices that are most relevant to them. Nexus Mobile has a member base which spans across all customer groups mostly from middle to upper classes. The member base of Nexus is the most extensive and is rapidly growing with more than 600,000 + members. Nexus Mobile is the only non-Telco company to provide a mobile based loyalty programme to its members in the country. The changes to the Terms and Conditions of the Bonus point scheme will take effect from 1st of April 2019.